Can Scott Keogh repeat his Audi success at VW? Scott Keogh has overseen Audi's rise into a premium powerhouse over the past 12 years. When he takes over as president and CEO of Volkswagen Group of America on Nov. 1, Scott Keogh's commute to his Herndon, Virginia, desk will change by two extra flights of stairs. His daily challenges will get much steeper. Keogh, 49, has overseen Audi's rise into a premium powerhouse over the past 12 years — half of that time as president and before that, as marketing chief. But in ceding the Audi reins and taking control of parent VW and its namesake marque across North America, Keogh again faces a struggle to lift a German brand. Since 2012, Audi's U.S. sales have grown 63 percent, setting an annual sales record every year. The last time VW brand set a U.S. sales record was a half-century ago. Though VW brand's U.S. sales recovered 5.2 percent in 2017 and have risen 5.5 percent so far in 2018, the marque's 2017 deliveries were still down 22 percent from 2012, before its diesel emissions scandal, and 230,000 below its 1970 peak of 569,000. Keogh will take over from Hinrich Woebcken, 58, who has been in the role since April 2016. Woebcken, a former BMW executive, will remain as a strategy adviser. Keogh will be succeeded at Audi on Dec. 1 by his longtime top lieutenant, Mark Del Rosso, 54, who transferred to run the automaker's Bentley unit in North America in 2017 after nine years working alongside Keogh as Audi's COO. A successor to Del Rosso has not been named. In his new role, Keogh — like Woebcken — will have direct responsibility for the VW brand in the U.S. and legal responsibility for all of Volkswagen Group's operations in North America excluding Porsche, which operates as a separate company. Keogh was not made available for interviews about his new assignment. But in a statement provided to Automotive News, a sister publication of Automotive News Europe, he said he was honored by the opportunity and feels "a personal responsibility towards our employees, dealers and customers to get this people's-car brand back. The Volkswagen brand deserves a strong position in this market and I want to be part of making that happen." 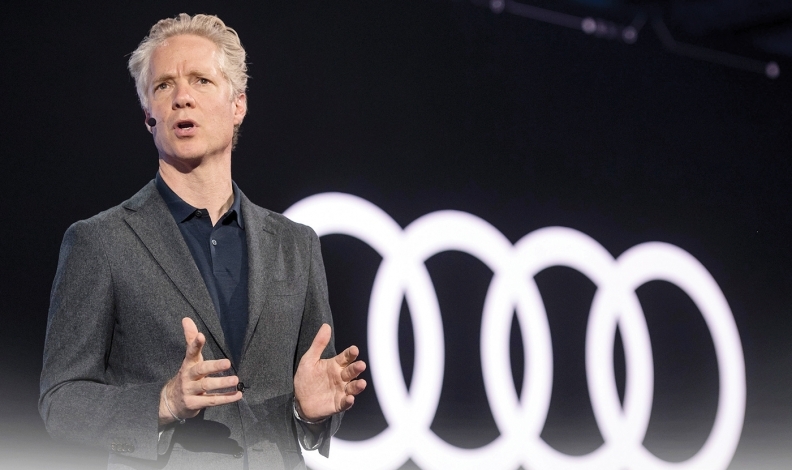 The comments echo those in a note Keogh sent to Audi dealers Wednesday, Oct. 10, in which he recalled the struggle to build the brand and thanked the dealers and his factory team for helping to boost U.S. sales from 90,116 in 2006 to 226,511 last year. Along the way, Audi's U.S. deliveries have risen for 107 straight months — a streak that continues today. "As many of you well remember, believing in Audi took vision, and the ability to see what wasn't obvious," Keogh wrote to the dealers. "Back then, many of you had not tasted success with our brand and our customers were loyal but few, very few. We were an upstart brimming with potential. We were very much a challenger, but the spirit needed stoking." The same could be said about VW's U.S. operations today. Dealer profitability: Volkswagen brand's U.S. dealers have some of the lowest profit margins of any U.S. marque, according to the National Automobile Dealers Association, and, at least in recent years, almost no demand from outside buyers for their dealerships. As a result, many dealers have felt trapped economically, and did not — or could not — reinvest in their dealerships, leading to retailer discontent. According to Kerrigan Advisors' most recent Blue Sky Report, a measure of a franchise's intangible value, Volkswagen was tied with Mazda for the lowest average multiples in the industry. Marketing and brand consideration: The 2015 diesel emissions scandal tarnished VW brand's reputation, and the marque's belief that price-conscious American consumers would pay more for German engineering proved false. VW's incentives have lagged those of its mass-market competitors, stunting the brand's aggressive growth plans for the U.S. Lengthy product cycles: VW has traditionally taken about eight years to redesign its vehicles, a product cycle nearly double those of most mass-market brands. The lack of regularly freshened product saddles dealer showrooms with older technology and dated styling. Mismatched products: While the situation has improved in the last two years with the introduction of the Atlas and long-wheelbase Tiguan crossovers, VW's lineup is still dominated by small and midsize cars. Its two newest products, the redesigned Jetta and Arteon, are sedans, a segment in which sales have been collapsing. A new, two-row version of the Atlas is coming, but the brand needs more crossovers and perhaps a pickup to attract new customers. Looming electrics: VW will launch the first of at least four promised full-electric vehicles in 2020 with the I.D. Crozz crossover. The remaining pieces of the brand's EV onslaught begin arriving in 2022. The problem? These vehicles will have dozens of new competitors, and U.S. consumers have thus far shown scant interest in switching to full-electric vehicles. In addition, the brand's 645 U.S. dealers will be asked to invest in charging infrastructure to sell the new EVs. 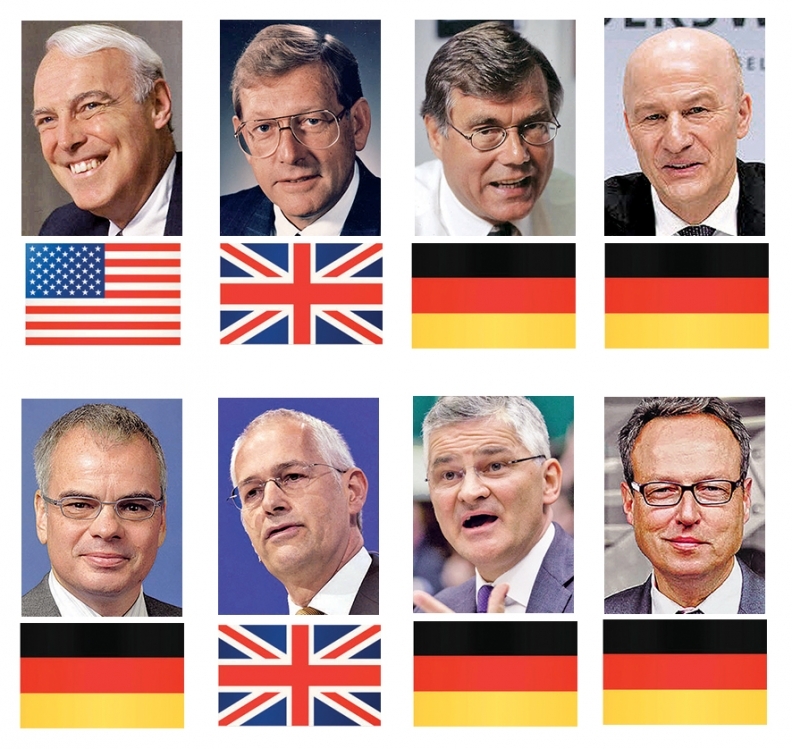 Management turnover: For decades, VW has treated its North American region as just another way station in its corporate management ladder. Executives dispatched to the U.S. rarely have had time to effect change before they left, were dismissed or dispatched to another assignment. In addition, the lack of stable leadership meant most major decisions were left to Wolfsburg, which has a weak track record of understanding U.S. consumers. The result has been a breakdown in trust and accountability, especially between the North American region's headquarters in Herndon, Virginia, and its dealer network. VW dealers were happy to hear of Keogh's appointment. They expect him — especially as the first American to hold the job in 25 years and with proven experience in the U.S. — to be intimately familiar with their needs. The Long Island native will be the first American to lead VW in North America since John Kerr's nine-month stint in 1993. Michael DiFeo, chairman of the Volkswagen National Dealer Advisory Council, said VW dealers expect Keogh to be able to combat such challenges as dealer profitability because of similar battles at Audi. Asked what may have led to Woebcken's departure as CEO, DiFeo said he did not know. He said VW dealers have continued to struggle to recover sales and brand consideration lost because of the diesel-emissions scandal, and he credited Woebcken with starting that healing process. "He did a lot of good things, and he got some things done that needed to be done," said DiFeo. But in the Keogh announcement, DiFeo said dealers believe they finally have an advocate and factory partner who will be around long enough and has enough experience to help them succeed. "I'm amazed at the effect one person can have on the overall outlook of a brand." DiFeo said. "Several Volkswagen dealers that I've talked to said they have gotten calls from friends that are Audi dealers, and everybody has said we hit the jackpot."